MY ecolodge, Niseko’s Budget Alternative. 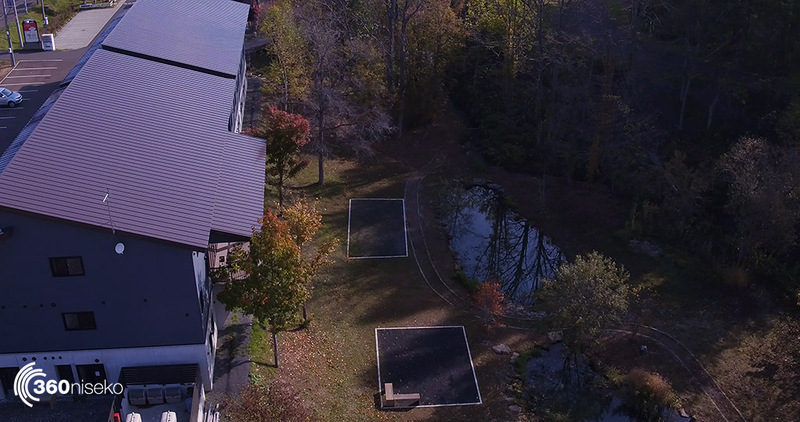 A modern take on the traditional lodge format. 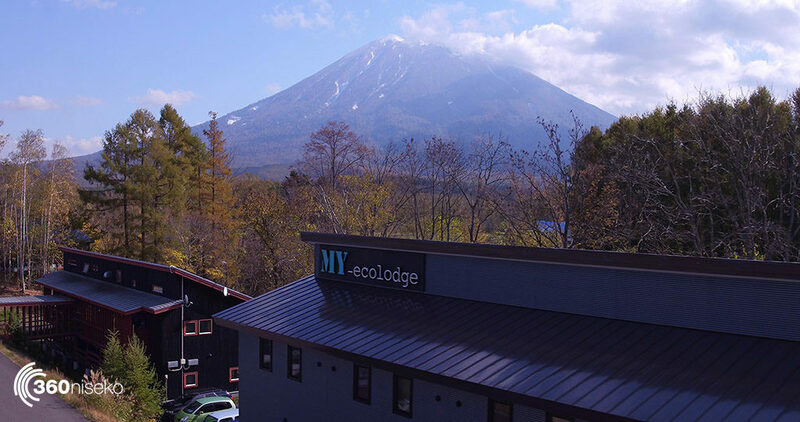 An affordable snow holiday in Niseko can be a pretty hard thing to find these days and as the once cheap pensions and local family run style accommodation slowly gets replaced with higher end multi level accommodations the Fairlane Hospitality group has addressed this with the MY ecolodge offering. 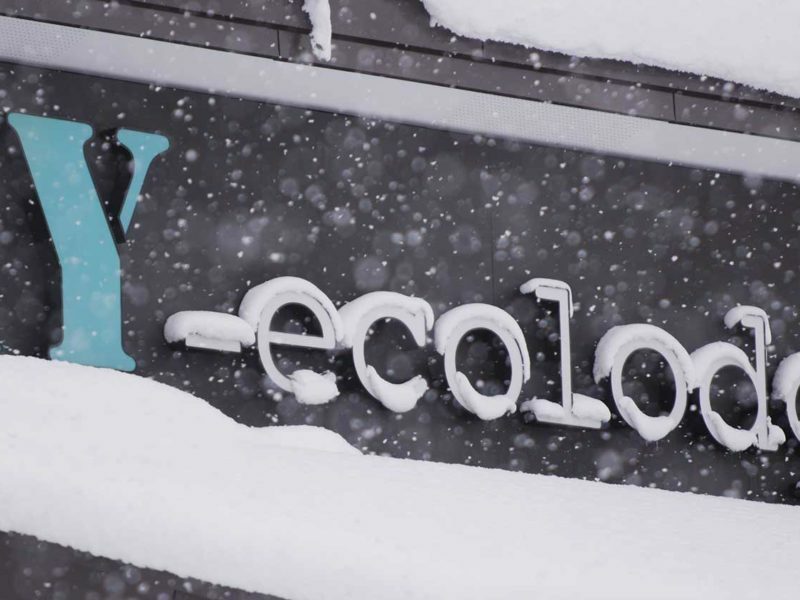 MY ecolodge is aimed at the budget-conscious traveller and provides a super clean, ultra modern take on the classic ski lodge theme. MY ecolodge is situated in the shadow of Mt Yotie at the first set of lights entering Hirafu. Its 68 bedrooms vary from double, twin or single occupancy right through to dorm style accommodation with a total of 172 beds available. The entire lodge is based around an eco theme but this does not mean it’s all built from re-claimed timber and lined with old cardboard boxes. MY ecolodge has gone for state-of-the-art Eco credentials in construction materials to have a super efficient insulation rating and the foot print of the building only occupyies 50% of the allotment to preserve the ponds and stand of trees behind the building. MY ecolodge only covers 50% of the allotment meaning the back of the lodge is home to lovely ponds and a stand of pine trees. This also provides an awesome place to have a barbeque in the green season. Water usage is reduced by 35% in all the facility showers via special shower heads and the lighting systems are all low drain LED and in the traffic areas such as hallways and common areas are linked to motion sensors to reduce unneeded usage. In a nutshell, the building functions super efficiently from the moment you use the keyless swipe card entry right through till you are gearing up to go ride. All the MY ecolodge showers us 35% less water than normal showers. MY ecolodge features an expansive dining space for guests to take advantage of the in-house catering. Breakfast is served each morning from 6.30 AM in the communal dining area that overlooks the fish ponds and a stand of pine trees and consists of a spread of omelettes, sausages, fresh salmon fillets, toasts and coffee. There is also a big flat screen TV and lounge area at the far end of the dining space that makes for a perfect place to watch the local news or just kick back and read a magazine or book. Additionally, if you want to self-cater there are great pantries for guest use and they include toaster ovens, microwaves and refrigerators. They are not Kitchen Stadium but are more than enough for a keen snowboarder or skier to prepare the fuel needed to keep hitting the mountain. A solid hot breakfast is ready for guests from 6.30 AM each day. On top of the guest pantries there is also a state-of-the-art coin-operated laundry and drying facility that will allow guests to avoid the mission of finding the Laundromat in town (no easy feat if you have ever tried) and do all their laundry in-house. With dryers on-hand your thermals will be fresh as a daisy each day. A coin-operated washing machine in-hose is a much bigger deal than you would imagine in Niseko. The gear storage facility is HUGE and there are plenty of equipment racks, boot-drying racks, tuning bench and comfortable seats to gear up on. The heated equipment room also has a separate access door just off the side of the main entrance so you don’t have to haul boards and skis through stairwells or the lobby. The lodge is located right next to the first set of traffic lights just after Izumikyo close by the bakery and highly recommended soba restaurant and while it’s a hefty walk to the main centre of Hirafu, there is a complimentary shuttle service with regular runs for all MY ecolodge guests that will have you there in just 2 minutes. The MY ecolodge bus runs regularly to Hirafu mean there is no waiting around for the public shuttle. MY ecolodge is staffed by young happy people who are all snow sports enthusiasts and they also have a great knowledge on the region’s best activities, where the good restaurants are most questions you have with regard to a stay in Niseko. Obviously demand for the lodge is high, so forward bookings are essential to secure your rooms and can be done directly through the MY ecolodge website. To get a real feel for the lodge, have a look at the video up top.